In our Qigong Beginner Guide you will find tips for your journey in the world of Qigong. These articles series is written for Qigong and Taijiquan beginners. Here you will find a lot of tips like “How to prepare your trail lesson” or “How to find a good teacher”. The title of a “teacher” or even a “master” or a “grandmaster” is not protected. Anyone can call him/herself “Qigong Master” or “Tai Chi Master” and open a school. So how to sift out the good ones? 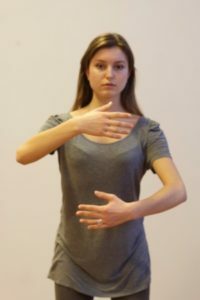 How should I practise Qigong and Taijiquan? How long and how often should I practise Taijiquan or Qigong? The ideal: Hard work: Not unlike Japanese culture, the Chinese ideal for physical exercises is hard work. Welcome to the ‘Basic Qigong for beginners’ series. This online series contains easy to follow videos of Qigong movements and exercises, accompanied by straightforward instructions. These movements are suitable for all ages and abilities to learn at home. On our Qigong Exercise Youtube Channel you will find more videos. We will publish videos on a regular base. Subscribe on our Channel / newsletter or like us on Facebook to be up to date! Hint: on our site Tai Chi / Qigong warm up exercises you will find even more videos with short but highly effective routines for beginners. New, free Qigong online course – Learn Qigong with Tina!